Dishing the dirt, The Muddy Puddles Project for Pediatric Cancer Research is hosting their 5th annual ‘Mess Fest’ featuring a very special guest, none other than- Peppa Pig! 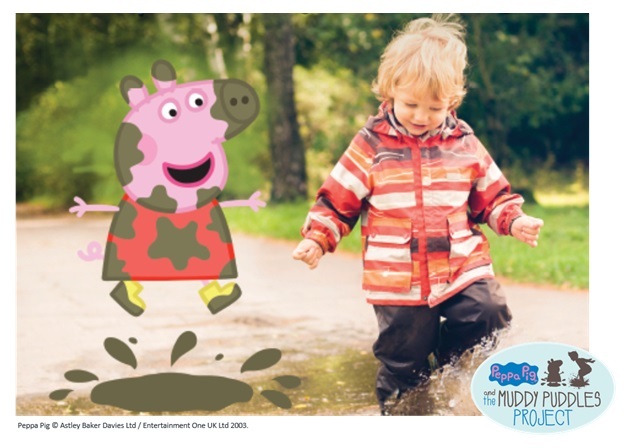 We all know that muddy puddles and Peppa Pig are sure to make a splash, especially for the preschool crew! The Muddy Puddles Project was established as a fundraising platform for the Ty Louis Campbell (TLC) Foundation benefiting childhood cancer research, improving survival rates for all children diagnosed with cancer. Thank you to the the promotional team from Mess Fest and The Muddy Puddle Project for the courtesy of sponsoring this content with a media invite for editorial purposes. Easily expecting more than 3,000 children and families to slosh in for what has been dubbed as the ‘Woodstock for Kids’, all of the mess of Mess Fest is held rain or shine, in honor of the life of Ty Louis Campbell, gone too soon after losing his battle with brain cancer at just 5 years old. Located just outside of NYC, the fun takes place at Kiwi Country Day Camp, 825 Union Valley Road, in Mahopac, NY 0n Saturday, August 5 from 11:00 am until 4:00 pm, rain or shine. I'm kinda hoping for a good rainy day of Mess Fest fun! Sassy and silly, animated Nick Jr. character, Peppa Pig, especially popular with the preschool set, was a favorite for Ty. When cured of his cancer, Peppa inspired Ty to hope for a day filled with the simple delight for jumping in muddy puddles, sadly he never had that opportunity. In remembrance of Ty, this most special event unites a community of supporters joining together in the theme of the occasion, allowing “kids be kids” in honor of those who can’t. Participants of all ages are welcomed to a day full of plenty of fun activities and messy moments. Find out more information about The Muddy Puddles Project Mess Fest events and Welly Walk fundraisers or learn how to host your own special event!